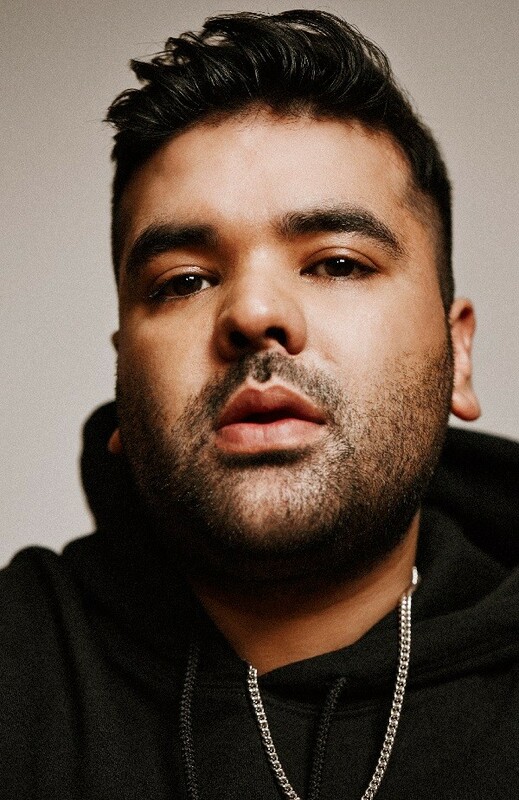 PERHAPS the greatest achievement in the amazing career of Naughty Boy is that his global success hasn’t changed him and he remains that same music-loving guy connected to his roots. The ace music producer, DJ, songwriter and musician has used that authenticity in songs which have made a deep connection with listeners around the world. 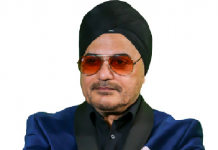 Real name Shahid Khan, he is just putting the finishing touches to his hotly anticipated second album, which is the follow up to his stunning debut Hotel Cabana and features singers ranging from Rahat Fateh Ali Khan to Beyoncé. He has been working hard on what already looks like the best album of 2019 for four years and it will no doubt be another exciting chapter in his remarkable story. Eastern Eye caught up with Naughty Boy at a studio in West London to speak about his new album, musical journey, inspirations, working with Rahat Fateh Ali Khan, future hopes and more. How would you describe your journey in music so far? I would describe it as the best rollercoaster ever. I say that because so many good things have happened and there have been so many exciting moments that sometimes I have to remind myself, it is all real. It has been a great journey. Artists are very closely controlled by labels, but how have you been able to do things on your own terms? To be honest, it has been like that from the get-go. I’m signed to Virgin and they have always believed in my vision. I have been making this album for like four years and any other label would be putting the pressure on, but they know it is a process. The first album Hotel Cabana had a theme and it wasn’t just a bunch of songs put together. I have a feeling people don’t know what to expect from my new album. Runnin was the first single with Beyonce, then Should’ve Been Me with Kyla & Popcaan and now I have the song Bungee Jumping. When will your new album finally release? I have been making it for the last four years, but the album will be out this year. Does the incredible success of Hotel Cabana put pressure on you? You know when I started making this one, I think maybe yes because I was like how will I match that album. Then I realised that I am not supposed to match that album. This is just my second album and I still have many more to make. With this, I took my time. I didn’t want to just put out a bunch of songs because it is heartfelt music and lyrics are so important to me. I don’t mind waiting for the best album. I could have put this out a year after the first one because I had the tracks. But I think I made just under 100 tracks altogether over the last four years for this album and so have been filtering them down. There are some exciting people on the album as well. It is a really eclectic mix of artists. What led you towards the collaboration with Rahat Fateh Ali Khan? For a British Pakistani producer that was a dream come true, collaborating with someone who’s able to do qawwali at that level. I was lucky enough to do it not living in Pakistan. We had never crossed paths because he lives in Lahore. Rahat Fateh Ali Khan features on the song Bungee Jumping with Emile Sandé, but did your creative approach change, putting together something so unique? Honestly no, it didn’t. That is how natural the whole process was. Bungee Jumping with Emeli had already been written. It is like a folk song, but Rahat fit into the song seamlessly. He does alaaps on the songs and she sings lyrics, but I feel like he blends into Emeli’s voice and they both blend into the song, and that is something I couldn’t predict. Is it fair to say Emile Sandé is your muse? Yes, she definitely is. When I started she was the first singer I worked with on the album. There is actually another song with Emeli that you will hear on the new album as well. I think Emeli has got an honesty about her and a beautiful voice. I think she is a genuine artist. She writes her songs as well, so is not just singing songs. She sings songs she has written. Especially in the UK, I think Emeli is one of a kind. I feel blessed that I got to start with her. The main focus is on the album, but there are some other interesting things on the way including a TV show on mainstream prime time, which I can’t talk about yet. Tell us what is your greatest unfulfilled musical ambition? I really want to compose a James Bond theme. That is one box I feel like I haven’t ticked yet. Naughty Boy doing a Bond theme has a nice ring to it. Do you think about your successes when you plan a project? I never look at previous successes and that is one reason why I will always be a bit insecure about whatever I am doing, because I never base it on whatever I have done. I feel like I am blessed enough to have had success, but moving forward is the only way, whether you have been successful or not. I am always looking ahead and more excited now than ever. Having a successful debut album can start putting pressure on you, thinking I have to repeat this. So many other things go through your head. You think what if I just want to put out a song that isn’t trying to be a massive hit and is being true to my musical self, while still being true to my fans. You do have that little battle, but I am out of it now and am excited about the new album and what the year has to offer. Apart from your own music, what dominates your playlist? I really like listening to old Bollywood music sometimes. I really love Dua Lipa’s album definitely. I have enjoyed listening to the poet Hussain (Manawar) and his story this year. If you could learn something new, what would it be? I would like to learn how to fly a plane one day. You have become a musical hero, but who is your hero? There are so many, but if I had to choose one it would be AR Rahman. He is my hero because of how much he inspired me after I listened to his music. When I heard the Bombay soundtrack growing up and the work he did in south Indian cinema, I just felt like he gets it and is not afraid. On Kehna Hi Kya he was mixing up so many diverse influences and I was thinking this guy is special. 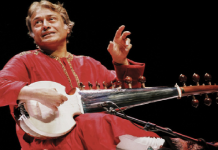 Him and Nitin Sawhney made me think I can make because it is okay to be a little different. They showed me you don’t just have to make simple normal run of the mill Asian music. You can be free with it and express yourself. Your name is Naughty Boy, but how naughty were you growing up? I was actually the complete opposite, to be honest and I think that is why I called myself Naughty Boy. I grew up a really good boy and you can ask my mum this. I got good grades as well. I just couldn’t hold down a job or a degree because my mind was running. I wanted something else. I would say that music definitely inspires me. I have also realised that I am here to inspire with my music as well. That is why I know I can’t wait much longer with my album because people are waiting for it. The world needs better music right now I think. It needs music that is feeding people’s souls rather than their egos. I feel like that is why I should be here to help and change things. When I was younger, I naturally thought everyone loved music the way I did. I didn’t think it was an effort. I learned the piano so easily by myself I assumed that if anyone tried they could do it as well. I had no one around me to tell me, ‘wait a minute that is actually a gift and to get into music’. So I think everyone has something they are naturally good at and they just need to find it or work it out. For me, it’s music.